As a business owner, it is important to constantly be in the process of confronting risks and addressing them head on. Many successful businesses that have built a legacy of staying stable and consistent over time have done so after careful consideration of all possible risks. In today’s technology-based society, one of the leading risks has to do with protecting information technology from viruses, malware, and other potential threats. A business that does not pay attention to this information could expose itself to significant losses and risks if an attack were to occur. Virus and malware issues are a significant problem and have been on the rise in recent years. The fact that technology advances so quickly also means that the criminals making use of the technology to hack into, take down, or steal information from systems are growing and adapting just as fast as security methods and programs are developed to fight them. This can be a problem for business owners who don’t understand the full landscape of concerns and how to best guard against them. Waiting too long to implement adequate security measures could lead to downtime in the company, lost revenue, frustrated employees, and leaked information. Ultimately, customers and clients may even lose trust in a company if private details were easily accessed during a hack. While most customers recognize that no company is invulnerable to an attack, all businesses should take the necessary steps to ward off a potential attack by robustly protecting their information. The challenge for the business owner who has recognized the cybersecurity threat is knowing what to do that point forward. Trying to find an affordable and comprehensive solution for management of these concerns is challenging, particularly for a company owner or manager who already has a full plate of tasks..
Thankfully, there are plenty of virus and malware solutions available for businesses in the form of IT solutions and IT Support providers such as Network Depot. Finding the right provider to assist with IT solutions can go a long way towards minimizing potential risks. There are several different things to keep in mind about the process of identifying these issues discussed below. 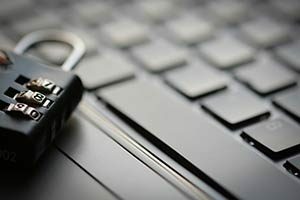 Computer security threats can unfortunately quickly turn the interconnectedness of modern society from a positive to a very negative situation. In the event that an organization does not have the right tools to protect itself from malicious software, which is frequently referred to as malware, the exchange of data and the internet itself can pose a critical risk to the organization. Why Has This Issue Become So Prominent? One of the primary reasons that cyber crime has experienced a resurgence in recent years is that selling and stealing personal information, intellectual property, credit card details and banking information is an extremely lucrative business. Malicious software can also display advertisements, send spam messages, or perform illegal activities when a computer has been hacked. Infecting computers with malware often involves sophisticated behind the scenes methods. Malware can spread through what often looks like a legitimate link, website, or file. An individual may click on this link out of innocent curiosity, but the malware will then quickly spread to other computers in the network and cause harm across the business. This is just one of the reasons why it is so important to identify IT solutions that can help with preventing these kinds of issues. It is equally important to get all staff on the same page about the most common ways that malware and other negative information are dispersed throughout business. All employees need to be briefed and trained on proper email and internet protocol and overall cybersecurity measures. Criminals also sometimes invest in cheap attack tool kits, which makes cyber crime on your business very inexpensive and easy to commit. All businesses should be aware of these threats and should work hard with a consistent strategy in order to protect themselves. As discussed previously, one of the most common threats for any business today is called malware. This is a catchall term that refers to threats to your information security and business network, such as adware, viruses, spyware and any other software that is installed without a user’s knowledge or consent. Malware can get into your business system in numerous ways, such as downloaded mobile apps or software, infected removable storage, infected email attachments, and links on social media websites, instant messages, or email. Viruses are a kind of software that replicates relatively quickly and can cripple or slow down service, and may even be used to alter or destroy data. Spyware, on the other hand, is a software that uses activity of the computer users to steal critical information. Adware refers to popup ads that disrupt the computer’s otherwise normal functions. Many different organizations need to be concerned about malware in order to protect themselves. It is a myth to believe that any small business is not likely to be attacked because of its size. Unfortunately, this is a growing concern across the small business community. Many small businesses have not invested in appropriate small business IT solutions, leaving them vulnerable to an attack. 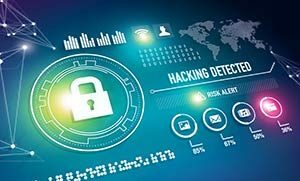 Criminals have become aware of this and have developed comprehensive and sophisticated strategies in order to specifically attack small businesses. The losses associated with a malware attack on a small business could be catastrophic, such as slowing down or halting business operations completely, or exposing the private information of clients to criminals. Importantly, it is not only government organizations and big businesses that need to be concerned about protecting themselves from malware, as any organization of any size and type could be a victim of malware. Both anti-spyware software and antivirus software are strongly recommended as part of your small business IT solutions kit. These materials can monitor and filter out anything that is suspected to be malware before it replicates or damages the system. Typically, the program will alert a user when it has quarantined a potential threat and then the suspicious software can be safely deleted. The majority of spyware and anti-spyware and antivirus tools identify suspicious software based on what is known as clear threats. When these new threats appear the program will automatically notify a user. Anti-spyware software and antivirus software are basic tools that a business of any size should always use. However, the larger the size of the business, the more important it is consult with IT Support professionals who have years of experience in the field. 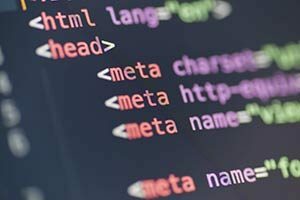 Any organization that has 10 or more computers should consider using a security suite or enterprise level tools. Consulting with an outside expert can help to clearly identify all potential risks and narrow the concerns for a busy company owner. It might seem like the time invested in preventing an attack from malware or spyware is simply not worth it, as the number of computers in your network may be small. However, given that criminals know that small businesses often do not invest the time or the resources in order to protect themselves, small businesses are actually more exposed than ever before to problems with malware, spyware, and other security concerns. This is why it is critically important that every business take a security-based risk management approach towards minimizing their problems in this area. Network Depot can conduct an audit of your existing situation and determine the appropriate steps that need to be taken in order to minimize problems. In the event that you already suspect that an infection has occurred, it is important to remember that first of all there is no guaranteed way to stop malware altogether. Antivirus and antispyware software are certainly a good start but not a comprehensive solution. Some signs that a computer may already be infected with malware include new icons appearing on the computer, unexpected toolbars on a web browser, and the computer suddenly seeming slow, crashing, or freezing during basic tasks. In the event that you already have a suspected infection, there are several steps you need to take. First, contact an experienced IT Support provider to conduct a comprehensive assessment and prepare and evaluation plan. In addition, download the most recent definitions for your anti-spyware and antivirus software and run a full scan using both of these tools. Remember that this may take more time than regular monitoring scans. If there are instructions presented by the software to remove suspected malware, do this and then reboot the computer. The best time to deal with a situation like this is to stop an attack before it happens by using effective IT solutions along with the guidance of an experienced IT Support provider. For assistance with cybersecurity concerns or any other IT issues, please contact Network Depot.